by Piotr Prokopowicz, et al. This book offers comprehensive coverage on Ordered Fuzzy Numbers, providing readers with both the basic information and the necessary expertise to use them in a variety of real-world applications. 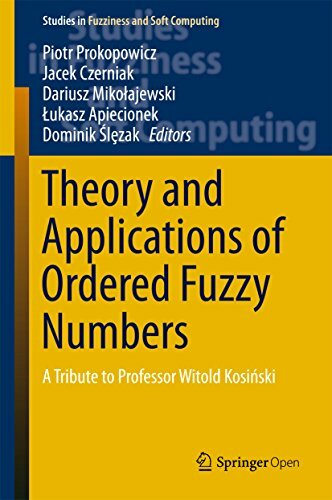 The respective chapters, written by leading researchers, discuss the main techniques and applications, together with the advantages and shortcomings of these tools in comparison to other fuzzy number representation models.